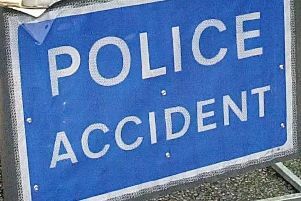 A driver, who collapsed after colliding with a police car on a slip road off the A27, has been taken to hospital, police said. Police were called to reports of a man ‘driving erratically’ towards the Cloverleaf roundabout at Shoreham at 7.30am today (Wednesday, June 21), a spokesperson said. As police went to stop the vehicle, the driver collided with a police car on the eastbound slipway off the roundabout towards Brighton, the spokesperson confirmed. He was detained but collapsed at the scene and was treated by paramedics before being taken to the Royal Sussex County Hospital in Brighton. No officers were injured but the police car was damaged, police said. Drivers are being asked to avoid the eastbound slip road at the Cloverleaf roundabout. The A27 eastbound remains open. Witnesses reported a heavy police presence at the scene this morning. There is queueing traffic at the scene.